Have you ever suspected that there is so much more to you, than you might think? Do you sometimes sense with an inner knowing that, hidden within you. You have more to offer and you have the ability and capacity to lead a more fulfilling life. Have you discovered your purpose, developed your unique talents and unlocked your inner genius and potential. "You're only limited by your imagination". Most people have become trapped within the guidelines, limitations and negative beliefs that were set for them. By the conditioning of others, bad suggestions, their experiences, especially their early childhood experiences, and by their own mind. Bad suggestions that were implanted in us, from a very early age, can have a detrimental effect on us, for years to follow. Your limiting beliefs and negative conditioning. Then become mental programs, that run in your subconscious mind. These programs, then can affect you and hold you back in many different ways. And they can control your thought processes, actions and behaviors. Negative or bad suggestions, that were said to us or even written in our school reports. Being told, we need to do better or could do better, or things that made us feel stupid, inferior or that somehow, that we are, quiet, not good or worthy enough. Can severely restrict us and negatively affect our self worth, self confidence and self esteem. This is not true, though. It just means, that you have not learned, tried or been taught how to. But it is not just our limiting beliefs, that block off, our true inner potential and genius. Stress, tension and negative emotions, can shrink our awareness, shut off our creativity and affect our intelligence levels. The human species has evolved and been designed to put protection and self-preservation, first. This is why many people, think of the worse case scenario first, rather than trying to find something positive. Our mind’s primary job is to try and move us away from pain and guide us towards pleasure. But many people are stuck in survival mode, where they're, mind puts more importance and significance on, protecting us from threats first. In a real life threatening situation, this can help you. But in the case of most people's worries, anxieties and stresses. There is no real genuine threat. Yet, the get stuck at high levels of stress and anxiety, which prevents them from tapping into and making the most of their true inner potential. Your mind is a very powerful tool and super biological computer, that is capable of many amazing things. But, it can also be your own worst enemy. There are two parts to you and your thought processes. First, you have, the physical objective and critical you, who basis everything on your physical conditioning and negative programming. And then there is the spiritual you, that knows how worthy, capable, smart and powerful you really are. The physical side of you, represents your fears, and worries. It protects you from any perceived threats, both real and imagined. The spiritual you, is what is known as the nonphysical part of you or the larger, wiser and all knowing part of you. The spiritual you, is a powerful but invisible force, that is always present and trying to help you, follow your passions and unlock your true potential. The spiritual part of you doesn’t, worry about the physical things, like threats and danger. The spiritual part of, who always knows and wants, what is best for you. The spiritual you also, knows you have no boundaries or limitations, it represents your intelligence, intuition, memory and creativity. The primary job of the inner and spiritual you is to push you to do the things that gives you joy, pleasure and all the things that makes you feel fulfilled. In a sense. We have two sets of thought processes. Our physical thoughts and idea's are based on our experiences and conditioning. This is the voice of the fearful, self critical, self defeating and self sabotaging you. Whilst the spiritual you, encourages you to follow, your passions and desires come from your spirit, which tries to nudge you into engaging all the things and activities that you like doing. When you're relaxed and grounded in the present, doing the things that you love, such as. Then this is the spiritual side of you, coming into play, and this is your true natural state of being. The trouble with the physical side of you is. It can attempt to keep you small, stuck and limited. The physical self, is more focused on trying to protect you or keep you guarded about what might go wrong. The physical you, is more concerned with trying to safeguard you and protect you from, failing or avoiding all the pitfalls or the imaginary threats or things that could go wrong. The physical you, will present to you, what it thinks, you need to hear or be aware of. But sometimes we spend so much time focused on our worries and problems, that we fail to see other alternatives, options and better choices. Our physical self, is so intent on trying to protect us, that we more often than not, fail to take a view at the bigger picture. On the other hand. The spiritual you, will see things through a positive lens, and it will try and steer you to open up and unlock all you true inner potential. The spiritual you, already knows that you're smart enough and capable enough, and it wants to awaken you, to all the good things that you can have, be or do. So you can spend more time on doing the good things that makes life worth living. It wants you to follow your passion and do all the things that will empower, inspire and keep you feeling calm, happy and balanced. Do you trust, all of your beliefs? What you do or become, depends a lot on your belief systems. Because you belief systems will determine your decisions, idea's and choices. And, the secret to whether you live a happy, fulfilled and successful life. All comes down to your belief systems and the choices that you make. In the case of most people. Some of their beliefs are outdated, inaccurate and limiting. We often allow them to negatively influence or desires to change and grow, without trying to change them, question them or challenge them. Without the right beliefs. We don't take the actions that are necessary to bring us more success and fulfillment. You inherited, most of your beliefs from your parents, society and other authority figures as a child. What we think is logic or wisdom, is often our limited and inherited beliefs and conditioning, that are acting as an over protective, inner security guard. The real truth is. You posses more power, talent and potential, than your every day physical and corrupted mind, could ever possibly, begin to imagine. To tap into your true creativity and to find the genius you that lives inside you. Then all you have to do, is to relax and ground yourself in the peace and flow, of the present moment, and keep your mind focused, on what you want. The more you learn to relax. The more you will unlock your creative abilities and talents. Combine this, with the desire to keep on learning, grow and taking inspired action. And there will be nothing, that will be able to stop you or hold you back. The secret to becoming smarter and unleashing the genius within you. Is all about, believing in your abilities which are limitless. Supplying your body and brain with the good quality key essential vitamins and minerals that it requires and exercising your brain, are the keys to good brain health. To maximize your brain's true potential, It is important to reduce and eliminate any stress or negative emotions. The benefits of keeping both your brain and body in good health and balance, are. It will lead to better memory, concentration and better decision-making. You will also be able to perform at your peak performance best. 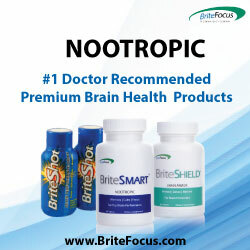 Of course, keeping good brain health is part of the equation. But, you also need to stay focused on what you want and be willing to keep on learning and developing new skills. In the 1970s, a neuropsychologist by the name of Vladimir Raikov conducted a series of experiments in Russia that changed how we perceive the human mind . The experiment that he performed involved inviting a selection of inexperienced music students to play to an audience at the Moscow Conservatory of Music. The talent, skills of the students were classed as mediocre at best. Raikov then went on to hypnotize them into believing they were world-class musical geniuses, such as Sergei Rachmaninoff. After the hypnosis, he then asked the students to play to the same audience again. But this time, something had changed dramatically in their music skills, and the second performance was classed as outstanding. As their performance came to the end, and they stopped playing. They were greeted with a round of rapturous applause and standing ovations. They had gone from average to mediocre musicians, too, musical geniuses, within hours. During, their hypnosis session, something truly amazing, seemed to have taken place. Raikov, through the power and skills of hypnosis, had managed to install them with genius qualities, and their new talents and skill levels, continued to remain with them long after the experiment was over. Raikov, then proceeded to take the experiment further. What he discovered was. That by using the same technique. He was able to successfully, improve the skill levels with art students and in many other area's. The experiments were watched over by American psychologists. His technique, is now known as the Raikov Effect. Self help experts have honed his technique and took it to a new level, which will now allow you to steal the talents and abilities of a genius. And it can be used for a wide range of skills. People who have used this method have reported to learning an instrument quickly, understanding difficult math and science problems, and learning a second language. If you want to have the ability of a genius. Visit the link below.